Around this time last year I moved to Sydney and started my new job at Atlassian. At the time, I was still unsure if it was the right thing to do. I was leaving behind a city that I had lived in for 8+ years, the familiarity, the friends that I had made there, my brother who was living with us and still at uni. On the other hand, I've had the burning desire to try something new, something different, do something that scares me. I was craving new experiences, new challenges. 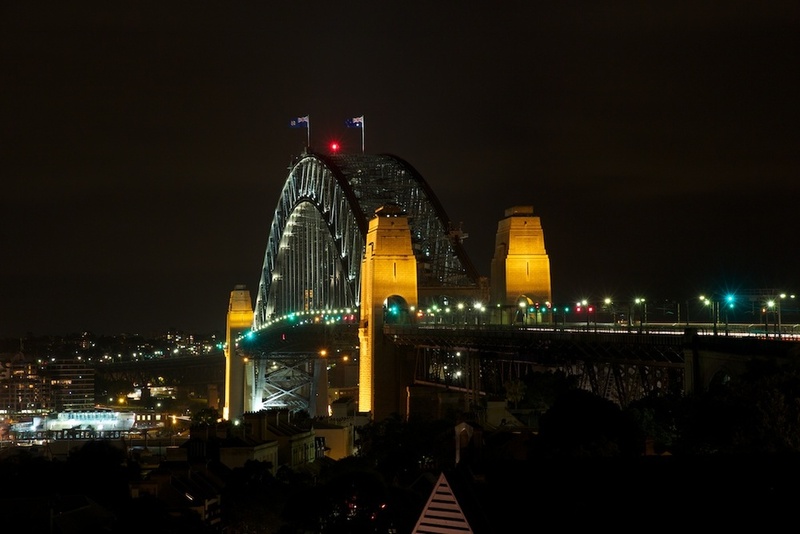 I had been on several short visits to Sydney in prior years. I told myself that Sydney is a fun place to visit but I'd never live there. After much deliberation and discussion with Anthony, I decided to put my prejudices aside, take up the job and make the interstate move and give it a fair shot. The job offer at Atlassian was a fairly major deciding factor. At the time, all of the jobs I applied for were in Melbourne. When my job hunt was going nowhere, I made up a shortlist of the companies I do want to work for, and made a more targetted effort in my applications. When I got offered the job in Sydney, suddenly it all became real. 12 months later, I have no regrets with that decision. Working at Atlassian is challenging, but at the same time rewarding. It has been quite interesting working on Atlassian Stash, a brand new product, using tools and technologies I'd never had much experience with previously, and a devleopment process that is very different from the way things are done in a digital agency. The culture here is definitely of Shipping, not Production. I'm pretty chuffed that some of the things I've made during our "20% Time" and "ShipIt (formerly FedEx) Days" have actually made it into a shipping product or is used internally. Aside from work, I've done a few trips outside of Sydney, seeing parts of the state I've never been to before. Been up to the Hunter Valley a few times, the Central Coast and the Blue Mountains. Also checking out markets and festivals, trying out new restaurants and bars, doing lots of photography. I've found it a bit harder to make new friends in Sydney, but then again this seems to be typical of a big city, and these things take time. Having said that, I've met a few people I've been following on Twitter, either locally or visiting from overseas, which is always fun when you put a face to the name. Just yesterday I voted in my first ever election in Australia. Granted, it's only a local council election, but I've now begun to exercise my right (nay, obligation) as an Australian. Time does seem to speed up as you get older, and just looking back on the last 12 months, there have been so many things that's happened and changed, I can hardly believe it. I'm absolutely certain there's more to come, and I'm ready for it. My new Macbook Pro arrived on Friday after all, and I couldn't wait to unbox it at the office. I had a couple of software updates to install (10.8.1 and a SMC firmware update to enable support for Power Nap) as soon as it started up. My initial impressions pretty much matched what many others have already said, but one thing that still surprised me was the Retina Display. It is like getting glasses for the first time after thinking the world was always blurry, and now everything is sharp and clear. Like the iPhone and iPad before it, text is crisp and beautiful. Rather than using the Migration Assistant to move my data over from my old MBP, I decided to spend the weekend setting my apps up from scratch and manually moving my documents, app data and prefences across, leaving behind any cruft that had accumulated over the years, and taking the opportunity to reorganise some of my data, putting some things on Dropbox, and archiving others on my Drobo. I loaded up my Aperture Library and the photos are jaw-droppingly good. There's detail and colour I'd never seen before, subtle textures and flecks of dust that were captured by the camera's sensor but never before reproduced on screen. There's also a downside to this, I'm also noticing flaws in my own photos that I had never noticed before, sensor noise, aberrations and fringing. I've found that even with a quad-core i7 and 16GB of ram, you CAN still bring the machine to its knees when dealing with 18 megapixel RAW photo files in Aperture. I've managed to get it hot enough that the fans run at full speed (which is still audible, despite Apple's claims). Still, it doesn't get as hot as my 13" MBP when the CPU is under heavy load. On that older machine it actually gets physically uncomfortable using it on my lap. I installed Lightroom but it's not updated yet for the new display, it's practically useless as the photos are pixel-doubled and it looks even worse than before. The size of the computer will take a bit of getting used to, and I've heard some creaking coming from the casing depending on how I hold it or where I rest my palms, which is unusual given Apple's attention to build quality. This makes me wonder if QA is slipping a bit as they rush these machines out to customers. Reading and writing is a joy on this dispay, as is photo processing and editing. I'm really happy with the new machine so far.